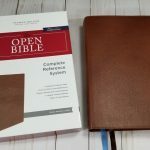 This is my most important and, consequently, emotional review I have undertaken because this review comes on the heels of me doing something that has not happened in 18 years and likely will not happen again for an equally long time, changing the English version that I use for my primary ministry Bible. 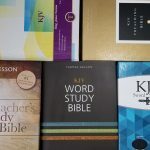 Since 1996 I have carried an NASB with me on a daily basis (almost 2/3 of my life) and I intend to continue using NASB until the Lord calls me home since it cannot be beaten when it comes to literalness in translation. That being said, when I am in the field and a ministry opportunity presents itself, it is usually an opportunity to minister to someone that may not use English as their primary language and so, an easier to read translation was necessary. 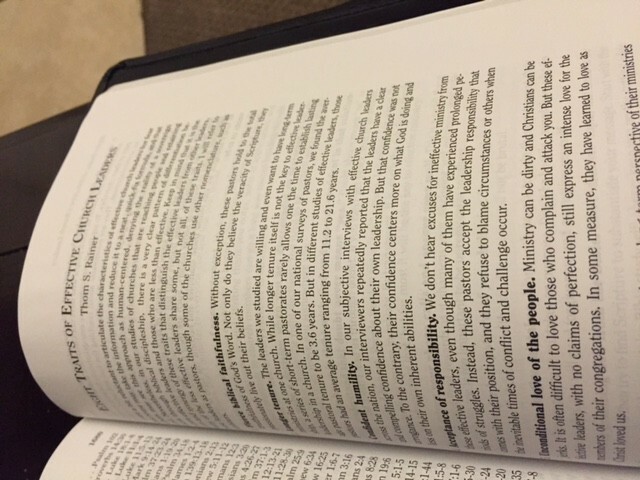 The translation that I chose after careful prayer, consultation, and independent research was the Holman Christian Standard Bible (HCSB). 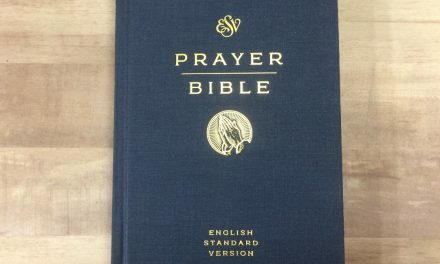 As we embark on the review of this particular edition of the HCSB, I am not going to just talk about the Bible itself but also the translation since it is critical to know why something is being recommended, not just the fact that it is being recommended. 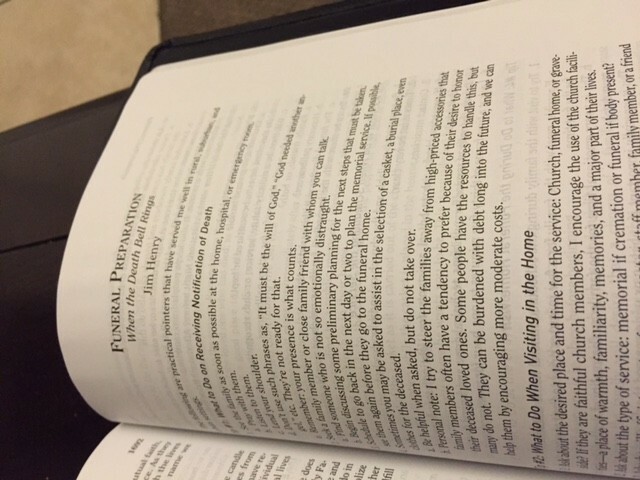 The HCSB, as a Bible translation project began for many reasons. One of the main reasons was accuracy. The HCSB translation team sought out from the beginning to render an accurate reading of the Bible from the Greek, Aramaic, and Hebrew texts. Another reason was readability. 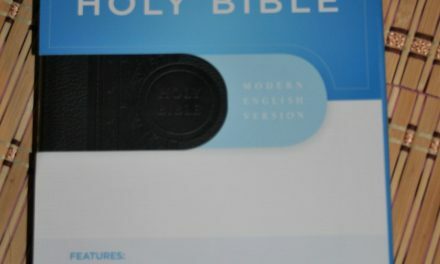 Modern English continues to change with time, so the HCSB translation team set out to advance the Bible in up-to-date language that any reader can understand clearly. The goal of the HCSB as a project is not just to produce “another” Bible translation, but a significant contribution to our current context. Does the HCSB represent any particular tradition or denomination? Many Bible translations have a long history that is tied to a particular tradition or denomination. There are many Bible translations, for example, that are based on the 1611 King James Version. 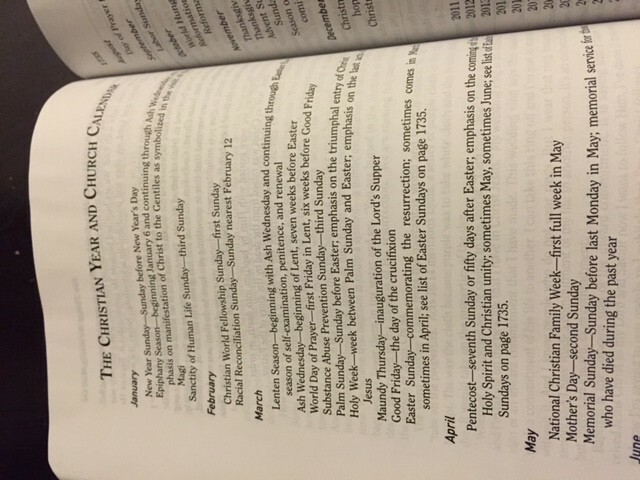 The HCSB was translated fresh from the original Greek and Hebrew manuscripts by scholars from 17 denominations. We feel that one of the strengths of the HCSB is that it is rooted, not in any one tradition or denomination, but in the original languages of the biblical authors. Special Note: The HCSB has been accused of being the Southern Baptist Bible. 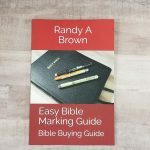 This is partly due to the affiliation of B&H Publishing with Lifeway Christian Resources. The HCSB is not exclusively Baptist, nor is it Presbyterian, Methodist, Lutheran or any other denomination you can think of. What makes the HCSB different than other translations? 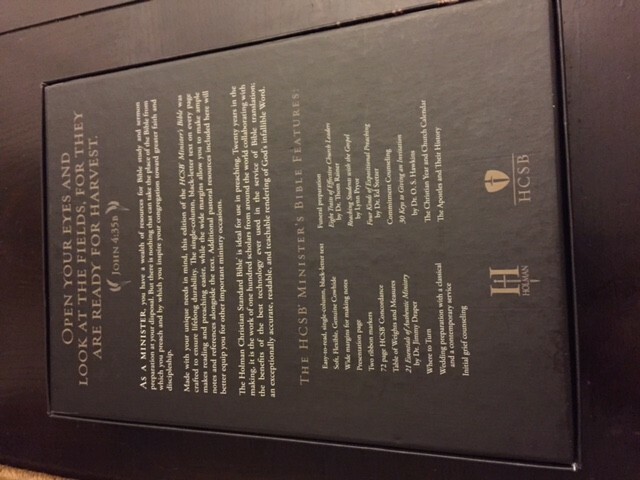 Translated from the Original Texts: The HCSB was translated by a team of top-notch scholars from the earliest manuscripts in the original biblical languages. 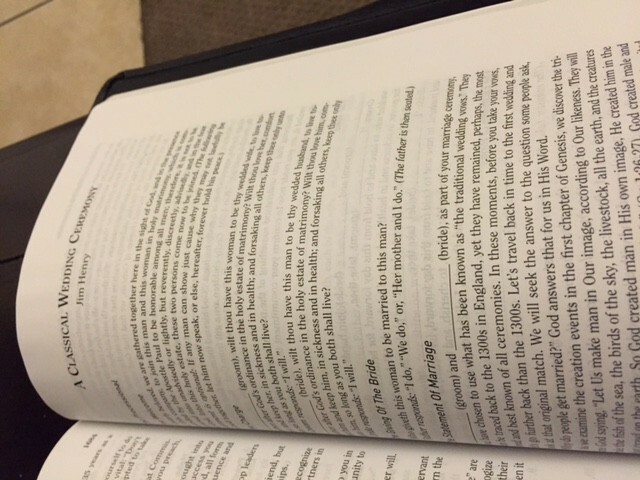 21st Century Speech Patterns and Language: The HCSB is rendered in 21st century that can be understood by modern readers. This means that readers won’t find older English words like “Behold” and they will find up to date speech patterns that include such things as contractions. 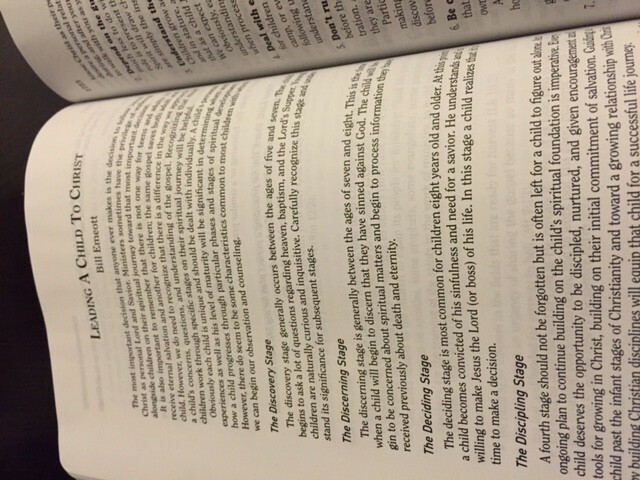 21st Century Scholarship: In light of the publication of the Dead Sea Scrolls and other scholarly material, the HCSB uses Messiah in the place of Christ in many places in the New Testament, “Yahweh” in place of “LORD” for the personal name of God in the Old Testament, and “slave” instead of “servant” when translating the word doulos. 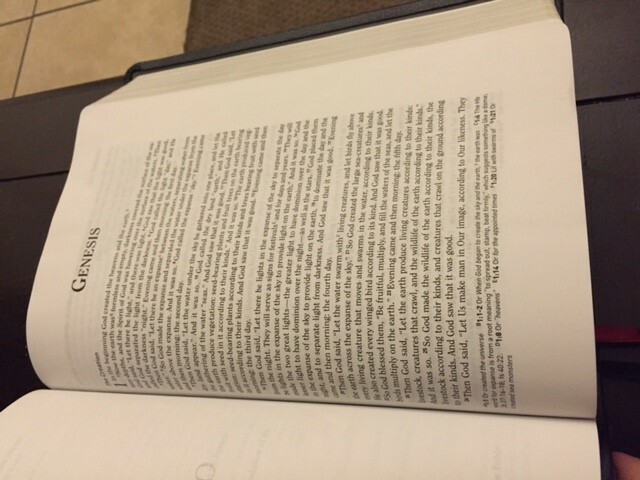 The HCSB also offers a unique and accurate translation of John 3:16, bringing greater clarity to the intended meaning of the originals. I am including the link to this list for two reasons: 1. 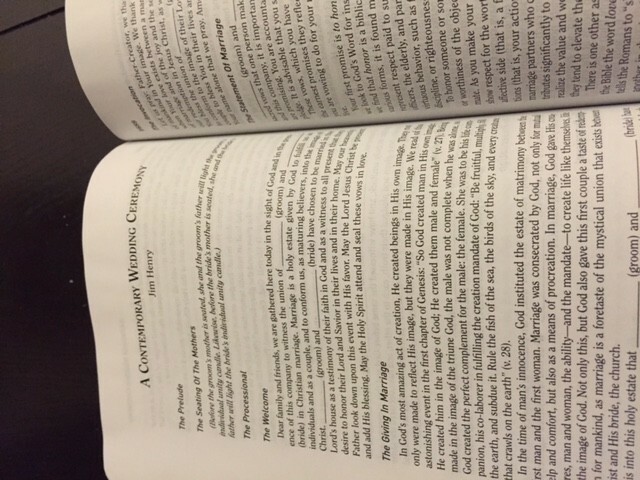 As testimony to the cross denominational work that went into this translation. 2. It is important to know who the translators are, how they are qualified, and how trustworthy they are. There are a couple names that I want to point out and then we will move on: Tremper Longman III, Zane Hodges, Robert Mounce, Calvin Miller, Andreas Kostenberger, & Curtis Vaughan. These men are not only giants in academia, but they are the leading experts in their field. 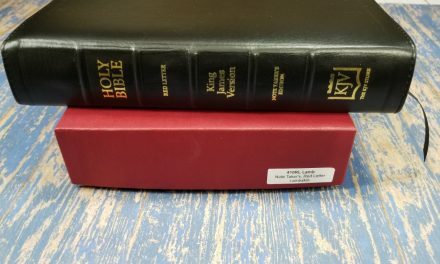 One of the most important questions to answer, when you choose a Bible translation for your regular use is that of accuracy; if you are a minister, you want the most accurate you can get. If you are not a minister, you should still seek out the most accurate you can find. Formal Equivalence: Often called “word-for-word” (or “literal”) translation, the principle of formal equivalence seeks as nearly as possible to preserve the structure of the original language. It seeks to represent each word of the translated text with an exact equivalent word in the translation so that the reader can see word for word what the original human author wrote. The merits of this approach include its consistency with the conviction that the Holy Spirit did inspire the very words of Scripture in the original manuscripts. 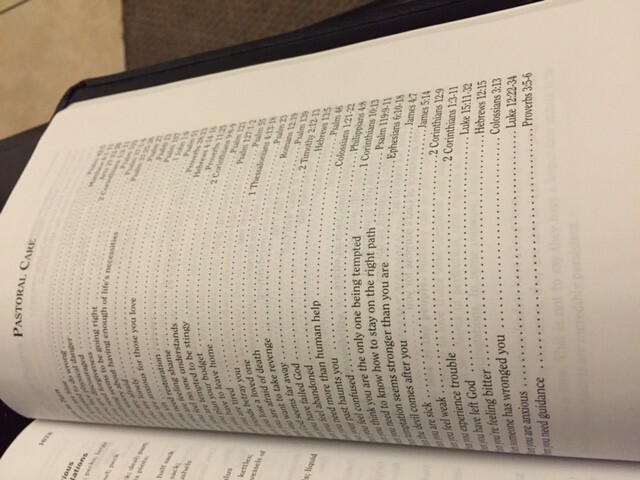 It also provides the English Bible student some access to the structure of the text in the original language. Formal equivalence can achieve accuracy to the degree that English has an exact equivalent for each word and that the grammatical patterns of the original language can be reproduced in understandable English. However, it can sometimes result in awkward, if not incomprehensible, English or in a misunderstanding of the author’s intent. The literal rendering of ancient idioms is especially difficult. Dynamic or Functional Equivalence: Often called “thought-for-thought” translation, the principle of dynamic equivalence rejects as misguided the desire to preserve the structure of the original language. It proceeds by distinguishing the meaning of a text from its form and then translating the meaning so that it makes the same impact on modern readers that the ancient text made on its original readers. Strengths of this approach include a high degree of clarity and readability, especially in places where the original is difficult to render word for word. It also acknowledges that accurate and effective translation requires interpretation. However, the meaning of a text cannot always be neatly separated from its form, nor can it always be precisely determined. A biblical author may have intended multiple meanings. In striving for readability, dynamic equivalence also sometimes overlooks some of the less prominent elements of meaning. Furthermore, lack of formal correspondence to the original makes it difficult to verify accuracy and thus can affect the usefulness of the translation for in-depth Bible study. Optimal Equivalence: In practice, translations are seldom if ever purely formal or dynamic but favor one theory of Bible translation or the other to varying degrees. Optimal equivalence as a translation philosophy recognizes that form cannot be neatly separated from meaning and should not be changed (for example, nouns to verbs or third person “they” to second person “you”) unless comprehension demands it. The primary goal of translation is to convey the sense of the original with as much clarity as the original text and the translation language permit. Optimal equivalence appreciates the goals of formal equivalence but also recognizes its limitations. 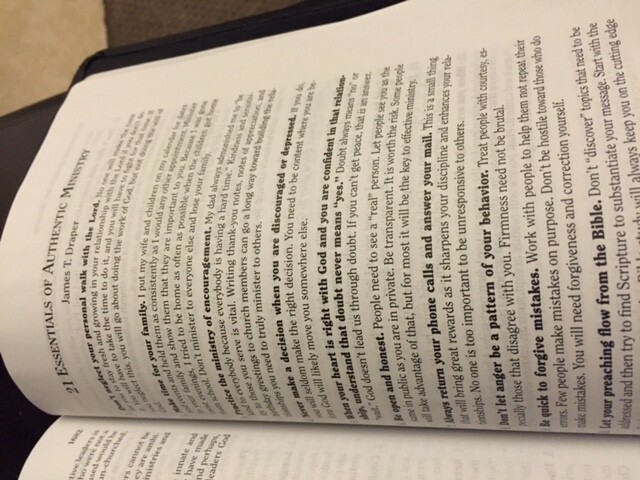 I used parallel text features in WordSearch, Olive Tree, and e-Sword to view the HCSB side by side with NASB, ESV, NKJV, and NIV. 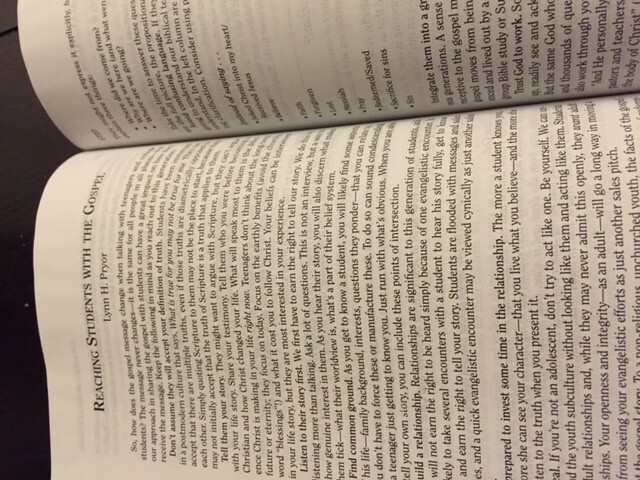 I found the text to be consistent with the 4 major evangelical translations, though feeling more conversational. 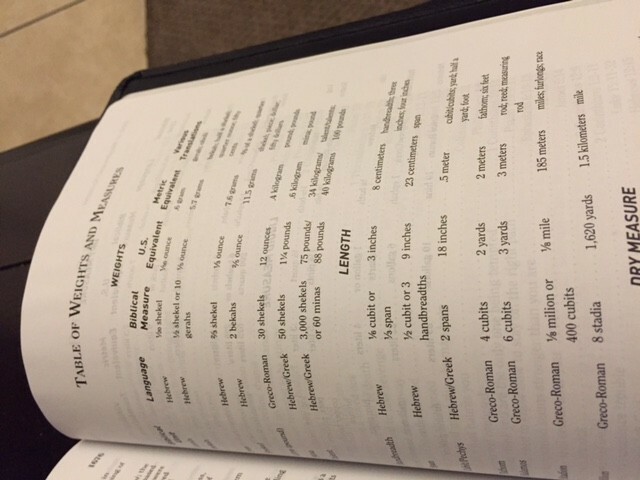 Using my Hebrew Greek Keyword Study Bible and Vine’s Expository Dictionary, I compared key words in essential New Testament Passages (John 1, John 3, Romans 5, James 1) and found that words such as monogenes (one and only/only begotten) are consistently translated with all 4 major translations. I compared the text with Young’s Literal Translation and found the translation to be consistent with the mainstream evangelical translations’ performance vs the YLT. Using various translation aids found on the web, I translated from Greek to English; the differences I found were idiomatic and nothing significant enough to have an impact on the meaning of the text. Lastly, I consulted with a member of my church who has taught New Testament Greek for approximately 50 years and, based on his insights, I am confident that the HCSB is faithful to the original texts and is accurate and acceptable for daily use. (I was intentionally vague because I am not authorized to speak on behalf of him or the university. In short, the HCSB is everything you love about the Bible, but it sounds the way normal people talk. I do want to state emphatically that, even though it sounds very conversational and less formal than the KJV, it is nowhere close to the disaster known as the Message. Who should be the primary user of the HCSB? People who are new to the Bible and Pastors who have congregants with limited English skills. I almost forgot an important group of people who should consider HCSB, people who read English at any level of skill. If you only ever read one translation, you can miss out. Different people communicate in different ways and process information in different ways. Using three or four translations will prove enormously beneficial. I recommend the following translations for your use: HCSB, NASB/ESV (or both), KJV/NKJV, NLT, and NIV. B&H Publishing lists this as genuine cowhide. Comparing it with the genuine cowhide KJV that I have from B&H, this cover is more stiff. It most certainly does not bend as well as my other cowhide and calfskin Bibles and in this case, I am glad of that fact. This Bible goes in and out of a briefcase every day; from what I can tell so far, this Bible should easily last a decade or more before showing major signs of wear. My bias is going to come out here: the Holman is in a single column wide margin edition with, as I mentioned earlier, 1 inch margins. 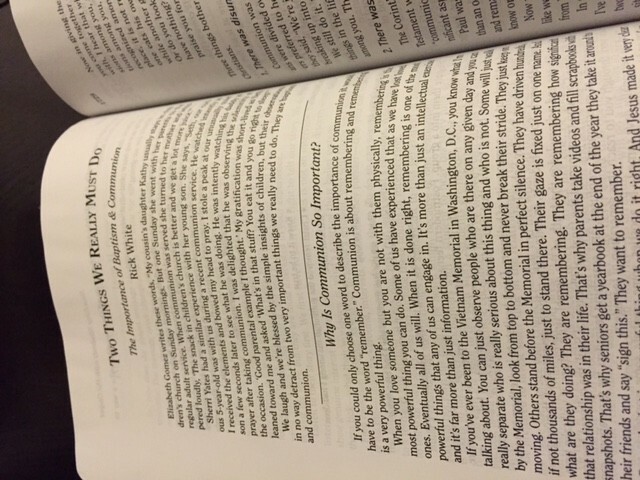 Nearly every page in the Holman has the footnotes that HCSB is well known for. The Holman Christian Standard Bible has an unusually large number of marginal notes giving other manuscript readings and alternative renderings of the text. There appears to be at least twice as many of these notes as is usual for English versions; in point of fact, according to various sources I have encountered while researching this text, only the NET Bible offers more footnotes than HCSB. When the notes offer an alternative rendering, it is usually more literal than the rendering in the text. 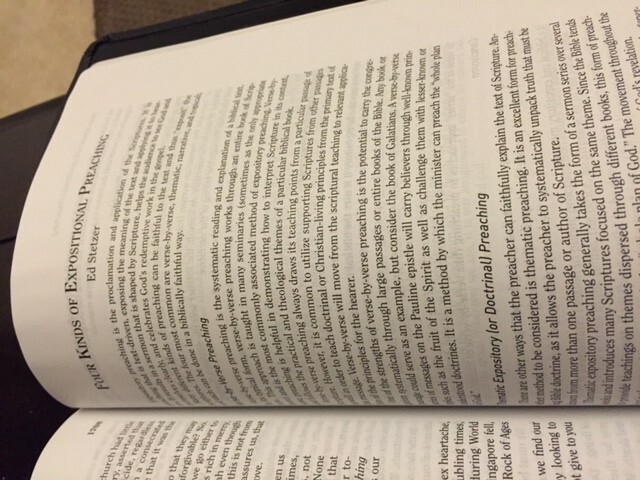 Some of the notes are explanatory, as for example the note to Acts 7:19, which explains that the abandonment of infants outdoors was “a common pagan practice of birth control.” A note on John 1:1 explains that “the Word (Gk Logos) is a title for Jesus as the communication and revealer of God the Father.” In this particular case, the footnote is mildly deficient; there is significantly more to the meaning and context of Logos that what the footnote indicates. In addition to the marginal notes, there are also some “bullet notes” in an appendix. When the text has some frequently-occurring words or phrases which might need explanation (i.e. “centurion”), rather than add so many notes to the margin these words are marked with a bullet in the text, which refers the reader to an explanation that is provided in the appendix. These notes are, in my personal opinion, are what makes the HCSB most desirable. 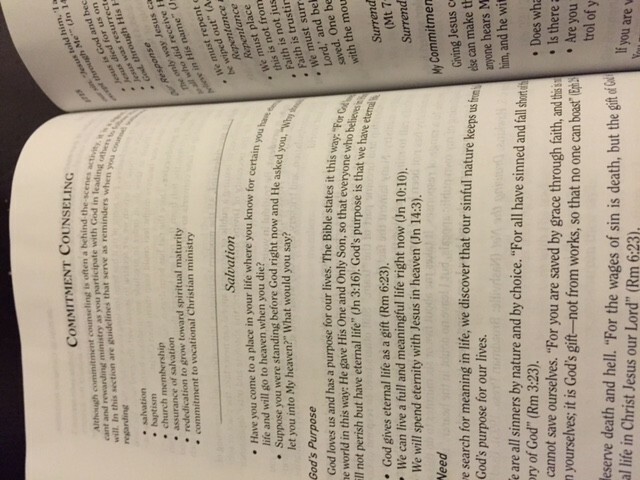 In the back of this Bible, you will find a number of helps. I want to call special attention to a few of them. 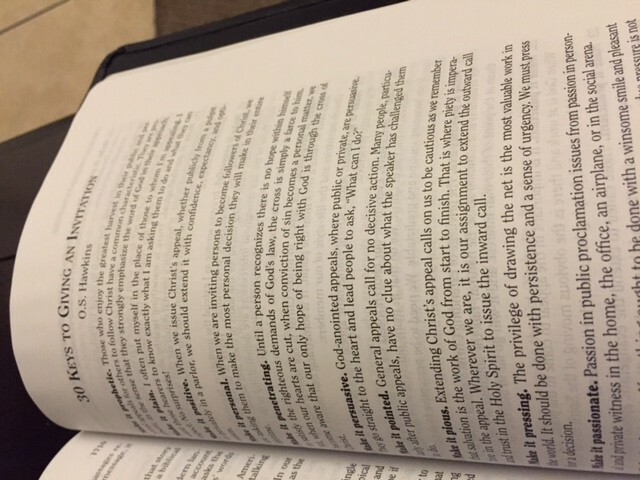 The concordance is among the best I have seen in a Bible that is this compact and portable. It runs 69 pages. 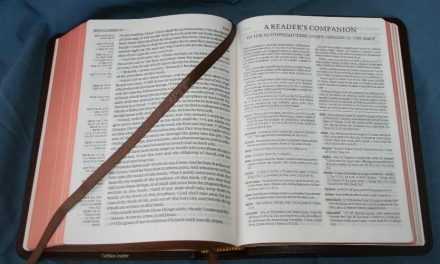 It is not quite as detailed as is some of my other Bibles but I see no cause for complaint; there is more than enough to help a minister who is just getting his start and a seasoned minister will probably use this concordance more as a memory jogging tool. There is a Christian Year and Church Calendar. It is not a liturgical calendar but certainly is an interesting addition. 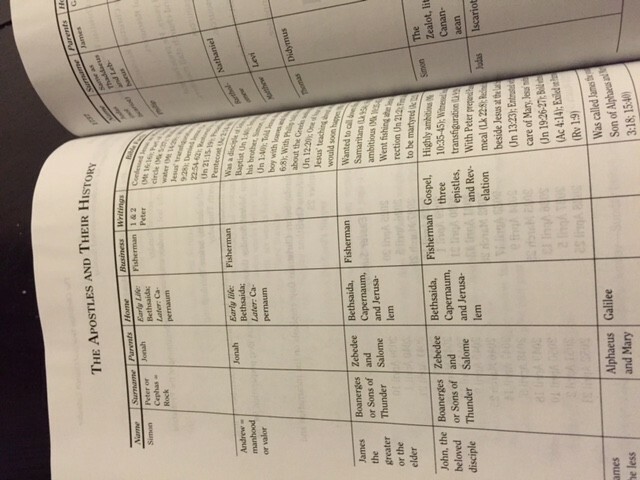 It lists the major holidays that are highlighted in most protestant services. There are some helpful articles offering practical advice for ministers and there are even a few sample sermons including a contemporary wedding and the more well known Anglican/Protestant Episcopal Wedding Ceremony. Sadly, while there articles discussing the Ordinances of Baptism and Communion, there are not sample services for you. You will find some other helps, but I have mentioned the key ones. 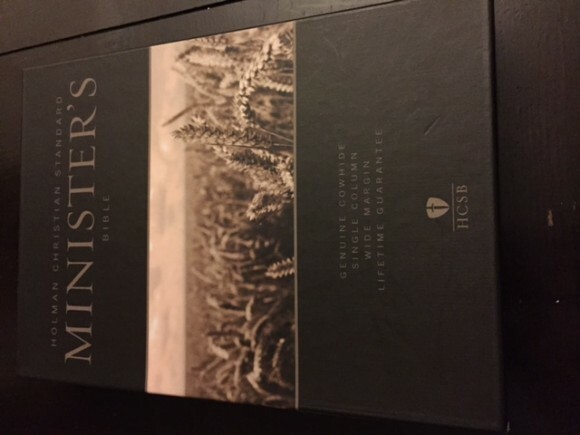 All in all, I heartily recommend the HCSB Minister’s Bible, even if you are not a minister. 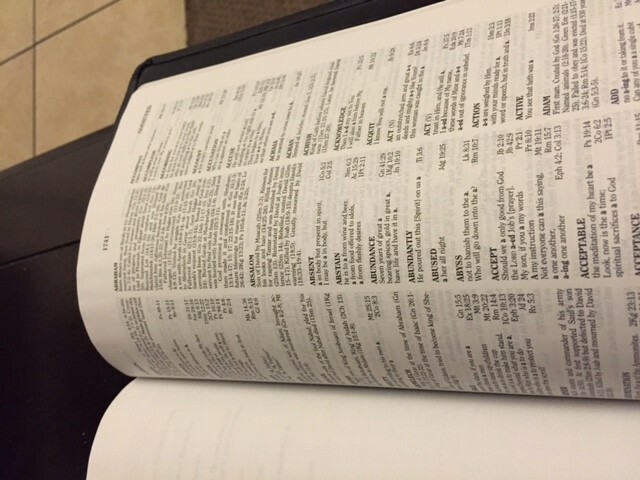 To the best of my knowledge, it is the only wide margin HCSB Bible available. While there are some excellent helps, there is not a complete Service Manual so you will need to get one if you are a full time pastor. I recommend the one from Nelson, which I will review in the coming weeks. That is my only real dissatisfaction, Otherwise, I think I may have finally found my ideal Bible. Happy reading and until next time, may mercy, grace, and peace be with you. Congratulations of a thorough review of this bible. 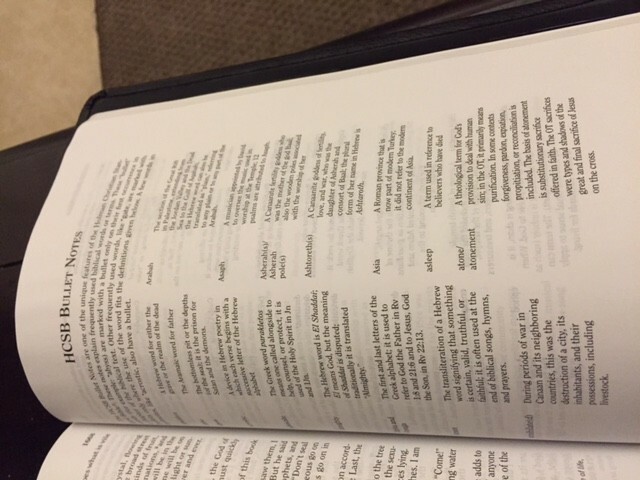 Our pastor uses this translation from time to time depending on the subject he is dealing with. He uses it mostly to give additional insight to certain passages. I must say that it often helps in understanding. This bible seems to be well organized and features good construction. I’ll most likely not buy one, but think it would be a good resource if I were teaching. I too used the NASB for about ten years, I went back to the Authorised for a variety of reasons. If I were teaching, I would consider this translation at least for a resource. I’ve pretty much settled on the Authorised as my bible, I now need to find the one that works best for me. I very much enjoy your reviews and look forward to your next one. 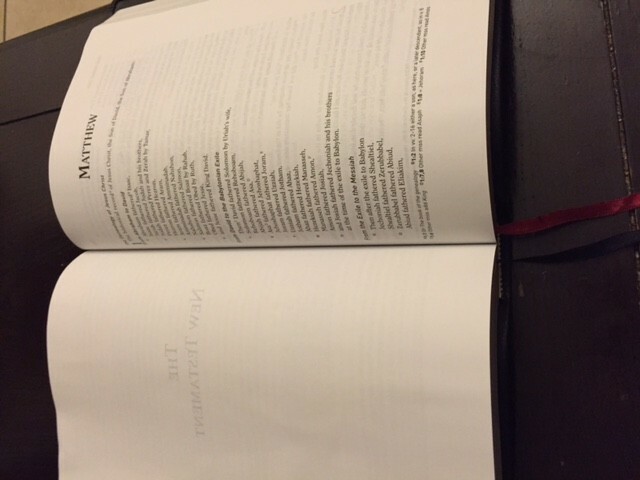 There is a Bible that made me fall in love with the KJV all over again, the Westminster Reference Bible from Trinitarian Bible Society. I think you may want to look at it. May mercy, grace, and peace be multiplied unto you. How is the ghosting in this bible?